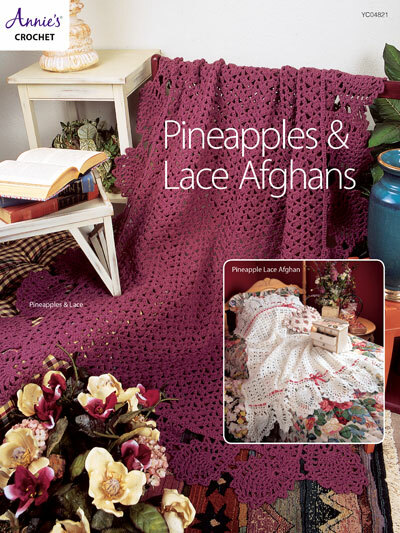 Add a touch of elegance to your afghans with a pineapple edging! 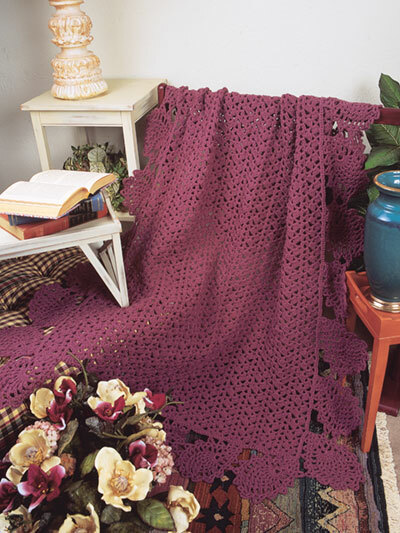 Stitch 2 afghans using worsted-weight yarn. Each design has a beautiful pineapple border. The Pineapples & Lace Afghan's border goes around the entire afghan, and the Pineapple Lace Afghan's border is on the top and bottom of the afghan. Sizes: Pineapples & Lace 48""W x 66""L; Pineapple Lace 43 3/4""W x 60""L.